Recoil Technologies Fake suppressor is for any .308 Winchester builds. This is not an actual suppressor, but mimics the look of it. The thread pitch is 5/8x24 and has a nitride finish. 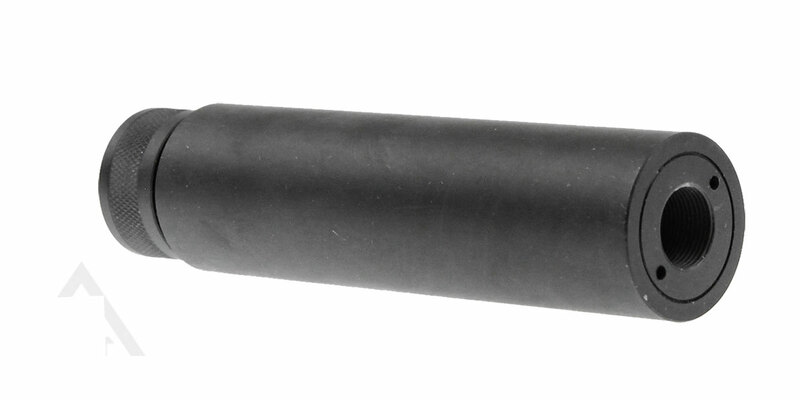 This is a slip over barrel fake suppressor.